The fourth season of "Jersey Shore" kicks off tonight on MTV -- and while the cast is heading to Italy in the new episodes, we're imagining what it'd be like if their unique style dominated Hollywood! 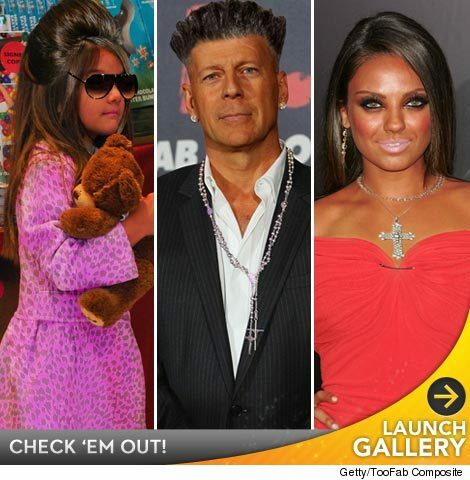 See what stars like Kim Kardashian, Bruce Willis, Mila Kunis, Reese Witherspoon and even little Suri Cruise would look like if they were tanned, poofed, and blown out like The Situation, Snooki, Jwoww and Pauly D! Italian Digs: Inside the 'Jersey Shore' House in Florence! 'Jersey Shore' Stars: Water Fight on Last Night in Seaside! 'Jersey Shore' Season 4 Trailer: Fights, Arrests, Hookups in Italy!